Deep cleaning is different from regular or spring cleaning because it reaches the deep grime and dirt in your home. These cleanings are much more effective in killing germs and allergens that may exist and cannot be vacated with a light cleaning. Hot steam is needed to effectively get to this level of cleaning. Offshore Carpet Cleaning and Offshore Property Services is a one stop option to take care of all your deep cleaning needs in your home or place of business. Deep cleaning protects your family and pets, plus at your business lets you clients know cleanliness is important to you. Offshore offers one time cleanings or repeat visits based on your unique needs. Offshore Carpet Cleaning is owner operated so you can count on top not service every time. Deep cleaning services and Janitorial services 7 days a week. We offer emergency 24 hour service as well as : restoration, water removal, window cleaning, contractor management, storm checks, rental property oversight, furniture and upholstery cleaning, tile and grout, area rugs, business cleaning & commercial cleaning, restaurant cleaning, fitness center, daily cleaning or weekly cleaning of your commercial property. We are located in southern New Jersey and offer these services for all of Cape May County and Atlantic County. Including Atlantic City, Margate, Absecon, Brigantine, Ocean City, Atlantic City, Linwood, Northfield, Egg Harbor Township, Hammonton, Vineland, Marmora, Sea Isle City, Cape May, Avalon, Wildwood, Wildwood Crest and surrounding areas. You Property Service Company at the Shore. Spring Cleaning is in full swing! Schedule your cleaning NOW! Keep a daily task sheet. Because the seasons change regularly, your house cleaning will also change. Create and stick with a daily cleaning schedule, so you don’t get overwhelmed when it comes time to deep clean your house. Maintain a clean bathroom and kitchen. These areas should be a top priority because, typically, this is where people spend most of their time. This will also allow you to focus on other areas of the house, such as ceilings and closets, that may need a more thorough cleaning job. Start with your windows. Clean the inside and outside of all your windows. Once the light shines into your house, you will be able to see what areas you missed during the wintertime. Change your filters often. If you are running an AC system through your house, you need to change the filters in the spring and fall. This will help YOU REDUCE THE AMOUNT OF DUST PARTICLES that build up in your home. Have the surfaces in your home like YOUR RUGS, CARPET, AND FURNITURE PROFESSIONALLY CLEANED. An expert can more times than not remove more dirt and allergens than a regular cleaning can achieve. Offshore Carpet Cleaning is southern New Jersey’s best and most professional carpet cleaning & floor cleaning service. We can clean any flooring surface and provide carpet cleaning, hardwood cleaning, tile and grout cleaning , area rugs and specialty flooring. Plus we can repair and install flooring for both commercial and residential clients in Southern New Jersey, Atlantic County, Ocean County & Cape May County. We Know Clean. Using hot steam to ensure the highest level of cleaning sanitation and sterilization. Proper steam cleaning not only extends the life of your carpets but also keeps any flooring surface looking great, plus healthy and free of germs and odor. We specialize in developing an appropriate professional cleaning maintenance plan for any business from restaurants to banks and more. We offer water remediation and pet urine odor elimination and stain removal. Commercial clients are welcome for hotels, office or restaurant space. Our professional cleaning staff is trained to provide quality services for cleaning all types of flooring. Offshore Carpet Cleaning also offers Janitorial Services for local municipalities, Commercial Businesses and Restaurants. Daily, weekly or monthly service plans that cater to the clients specific cleaning needs is one of our specialities. Free estimates and we can build a plan that meets your budget. We can develop a custom maintenance plan that is right for you and your business. Just a few miles from Atlantic City Boardwalk, Atlantic City Casinos, Ocean City Boardwalk and other famous attractions like Bass Pro Shops, The Atlantic City Outlets and Lucy the Elephant. We serve residential and commercial clients alike. We specialize in custom maintenance plans and currently service several large chain restaurants, hotels and office complexes. Plus: janitorial services, hardwood cleaning, area rug cleaning, upholstery and leather furniture cleaning, water extraction, restoration, window cleaning and power washing. 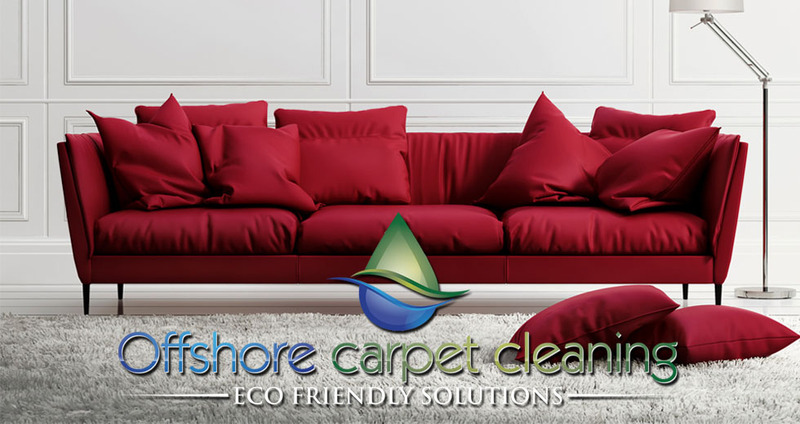 Call for a free estimate – 609-365-8045 Search for: http://www.offshorecarpetcleaning.com _________________________________________ Offshore Carpet Cleaning is owner operated so you can count on top not service every time. We offer emergency 24 hour service as well as : restoration, water removal, window cleaning, contractor management, storm checks, rental property oversight, furniture and upholstery cleaning, tile and grout, area rugs, business cleaning, daily cleaning or weekly cleaning of your commercial property. We are located in southern New Jersey and offer these services for all of Cape May County and Atlantic County. Including Atlantic City, Margate, Linwood, Absecon, Brigantine, Ocean City, Atlantic City, Linwood, Northfield, Egg Harbor Township, Hammonton, Vineland, Marmora, Sea Isle City, Cape May, Avalon, Wildwood, Wildwood Crest and surrounding areas. You Property Service Company at the Shore. If your furniture is covered in stains, turn to Offshore Carpet Cleaning. We are the best upholstery cleaning company in South Jersey. We only use industry-leading products and top-quality equipment to make your furniture look better than ever. We can clean any type of fabric, including leather, microfiber and linen. When you need residential or commercial upholstery cleaning services, reach out to Offshore Carpet Cleaning. Schedule an appointment today by calling 609-365-8045. DON’T TOSS YOUR DINGY FURNITURE. RESTORE IT. Offshore Carpet Cleaning & Property Services is located in Southern New Jersey and services all of Atlantic County and Cape May County. Give them a call for a free estimate today – 609-365-8045. Serving Ocean City, Atlantic City, Margate City, Ventnor City, Linwood, Egg Harbor Township, Absecon, Hammonton, Vineland, Cape May Court House, Petersburg, Dorothy, Vineland, Northfield, Galloway, New Gretna, Tuckerton, Mystic Island, Longport, Egg Harbor City and more. Get a head start on your spring cleaning! Offshore Carpet Cleaning currently has a tile & grout cleaning special. The offer includes your tile and grout cleaning, up to 200 sq. feet, for a special price of only $225! Give us a call to make an appointment. 609-365-8045. As a business owner you are always looking for ways to increase productivity and make improvements. Often times when working to make these changes it will require you to bring in outside professionals, like the cleaning staff at Offshore Carpet Cleaning and Property Services. Offshore can make a custom cleaning plan to meet your specific needs. Daily, weekly or monthly cleaning services are available as well as regular deep cleaning services to ensure a germ and dirt free space. Janitorial services are available plus all the other services you would expect form a cleaning service; floor striping and polishing, carpet cleaning, dusting, window cleaning, kitchen and kitchen hood degreasing, upholstery and leather furniture cleaning, vacuuming, restroom cleaning and sanitation, power washing, tile and grout cleaning, hardwood cleaning and so much more. When you try to handle everything on your own without help, it can quickly become exhausting. Instead of forgetting to clean or trying to do all the cleaning alone, bring in an outside office cleaning crew. They can save you time and allow you to have so much less stress. This can make everyday life better. When you try to rush through cleaning tasks on your own, it may show. You want to make sure that all cleaning is done right the first time! Office cleaners will do just that. When you have a public workspace, it needs to look its best. When you’re messy, dirty, or unorganized, it shows. You want your staff, colleagues, and customers to feel at ease when they walk in the door. If you’re always forgetting to clean, they may not feel comfortable. When you hire an expert cleaner, they will make sure that your workspace always looks and feels professional. When you clean regularly, it makes for fewer germs and dirt. This means that there are fewer chances of everyone getting sick. If you want to have a safe and healthy environment in your office, hiring your own cleaner staff through Offshore Property Services is a great idea. When you have a clean space, it’s easier to stay focused on work. Your team will appreciate the environment more, too. You can feel at ease knowing that you have a great and comfortable work area. You will likely find that a lot more gets done, too. It can be hard to focus with clutter and mess! Deep Cleaning of carpet and flooring surfaces is a must! If you own a business establishment, you need to do everything possible to make sure your clients have a positive perception of your business and building. Having soiled and discolored carpets will reflect negatively on you and your business and make clients think twice before dealing with you. Offshore Carpet Cleaning recommends regularly deep cleaning your building’s carpet or your homes floors and is a crucial step to ensure a clean environment and maintain positive impressions with your clients, customers family and friends. Below is an overview of why it is important to keep your carpet and floors clean. Improve Appearance The first—and possibly most obvious—reason to keep your carpet clean is to improve the overall appearance of the carpet. Even if you are generally a clean person, it is inevitable that food, dirt, mud, and other outside elements will end up inside and on the carpet. Hiring professionals to vacuum at least once a week is an excellent way to remove all dirt and debris left on your carpet. It can be very embarrassing to have clients show up to a dirty office only to find trash and crumbs all over the floor. Prevent Health Problems Carpets can easily become a cesspool of allergens and harmful bacteria that can have negative health effects on anyone in the building. Regular deep cleaning is an easy way to ensure that the carpet not become corroded to the point that they are harmful to your health. Remove Stains Stains are inevitable and can happen to anyone. Treating and removing stains as soon as possible can significantly reduce the chance of permanent staining. Once a stain has set and sat over time, it can be difficult for even a professional to remove. Get Rid of Bad Smells Perhaps one of the most important reasons to keep your building’s carpet clean is to maintain a pleasant, or at least neutral, smell. Dust, crumbs, and all sorts of debris can cause foul odors that can instantly repulse clients, as well as employees. Keeping your carpet smelling fresh can easily be done by hiring a professional to regularly clean your carpet. Safeguard Your Costly Investment Carpets are very costly; therefore, make it a point to have them cleaned regularly to prevent damage to the carpet, preserve its life span, and protect the money you spent. Regularly cleaning your carpet will cost much less than installing new ones over the years. Offshore Carpet Cleaning, in Linwood NJ, provides quality carpet cleaning services and will ensure that your clients have the best possible first impression when they enter your establishment. Offshore Carpet Cleaning also has a division offering Property Management and Janitorial cleaning. All these great services are under one roof and come with the same great service staff. We are owner operated so you can count on top not service every time. We offer emergency 24 hour service as well as : restoration, water removal, window cleaning, contractor management, storm checks, rental property oversight, furniture and upholstery cleaning, tile and grout, area rugs, business cleaning, daily cleaning or weekly cleaning of your commercial property. We are located in souther New Jersey and offer these services for all of Cape May County and Atlantic County. Including, Margate, Linwood, Absecon, Brigantine, Ocean City, Atlantic City, Linwood, Northfield, Egg Harbor township, Hammonton, Vineland, Marmora, Sea Isle City, Cape May, Avalon and surrounding areas. Offshore Property Services offers flexible and overnight hours to accommodate clients cleaning goals. Running a business place involves several responsibilities, one of which is ensuring that the business place is clean and hygienic for visitors. While ensuring that the business place is up to health and hygienic standards should be a must for all businesses, there is the need to hire the services of commercial cleaning pros like Offshore Carpet Cleaning and Offshore Property Services for janitorial and commercial cleaning to make the goal a success. Offshore Carpet Cleaning and Offshore Property Services, is a top-rated commercial cleaning and janitorial service provider which has been in operation for years serving businesses and residential clients in and around Atlantic City and Ocean City New Jersey. .
As the leading provider of residential and commercial cleaning services in and around Atlantic City and Ocean City, New Jersey, Offshore Carpet Cleaning with Commercial Cleaning and Janitorial boasts of a team of well-trained and specially handpicked cleaning service professionals who are equipped with all the needed tools and equipment to ensure that client’s homes or business spaces are left sparkling clean. Priding themselves as customer welfare oriented cleaning service provider, Offshore Carpet Cleaning and Offshore Property Services has over the years reviewed their hiring process to ensure that only upstanding cleaning crews are hired. Their company boasts of a strict recruitment process which involves background checks on all cleaning staff and criminal record investigations to ensure that customers are exposed to only upstanding and ethical cleaners. Having extended their cleaning service hours, Offshore Carpet Cleaning and Offshore Property Services will be offering all of their cleaning services at all hours of the day and in the overnight hours to accommodate restaurant and casino clients who prefer late night or early morning hours for cleanings. Their cleaning service professionals can be reached for all office cleaning needs including office floor cleaning, carpet cleaning, tile cleaning, partition wall cleaning, internal wall cleaning, ceiling cleaning, furniture dusting and cleaning, upholstery cleaning, interior and exterior window cleaning, bathroom cleaning, deep cleaning, dusting of workspaces, pressure washing of property exteriors, kitchen and dining area cleaning, and more. Offshore Carpet Cleaning and Offshore Property Services is located in Linwood, New Jersey which is approximately 15 miles form Atlantic City and just 5 miles form Ocean City, New Jersey. Offshore services residential and commercial clients located in Atlantic County and Cape May County and Southern Ocean County. Expanding daily to accommodate new client requests so call for a free estimate and to find out if they service your area. Cut-off the water supply to your home. Locate the water main cut-off valve and have a water key handy before attempting to thaw out frozen pipes. If you don’t have a key (most hardware and home-improvement stores sell them), you can use a pair of locking pliers to rotate the valve a quarter turn. If you don’t know the location of your main water valve, it is usually at the water meter, which is commonly found within a few feet of the curb of your street. Relieve any pressure. Open up any faucets connected to frozen pipes before thawing. This will allow water to flow through the pipe and relieve any built-up pressure, reducing the risk of rupture. Warm things up. You’ll need to gradually warm the frozen pipe. You can use a warm hair dryer or towels soaked in warm water to thaw frozen pipes that haven’t burst. (Do not use a flame or high-heat source to thaw pipes. It can lead to cracking.) Start from the interior faucet end of the pipe, and work your way toward the colder end of the pipe. Check for Leaks. After pipes have thawed, listen for sounds of gushing water. That is your first sign that a pipe has burst. You can also conduct a quick water test to determine if you have any leaks. Turn off the icemaker and discontinue use of any faucets and toilets. Do not run the dishwasher or washing machine. Take a picture of your water meter reading. Wait 15 minutes, check the meter reading and compare. If there’s any movement, you have a leak. Contact a professional. If you’ve detected a leak, your best bet is to cut off the main water valve and call Offshore Carpet Cleaning to remove the water help you dry out. Offshore offers 24 hour emergency service and will come to help you immediately. Offshore works with remediation specialists who will help you fix and damage and get the most out of your insurance coverage if needed. Our professional network will make sure you home is restored to it’s former state and limit your out of pocket cost tremendously. Or skip steps 1-5 and call Offshore first! Our professional team will help guide you through the process start to finish. Offshore Janitorial Services is one of the best options for commercial businesses looking for janitorial services in South Jersey and Southern New Jersey Counties. Cleaning commercial buildings is one of our specialties. We service restaurants, office buildings, banks, apartment complexes, and many more. We use only the best products and materials in our cleaning service, meaning you will not be dissatisfied once we are finished. Our service begins with a thorough deep cleaning of every aspect of the business. We then use a truck-mounted extraction system that deeply cleans your carpets, getting any and all traces of dirt and grime out and away. We also offer many other services, including bathroom cleaning, kitchen cleaning, carpet repair, hardwood refinishing, and floor stripping and waxing. We also offer routine maintenance, be it daily, weekly, bi-weekly, or monthly. With this service you can guarantee that your business will look its best at all times. We can even perform move in/move out cleaning if you want to show an apartment to new tenants. Our friendly, experienced staff will work with you directly to determine your specific needs, then get right to work. Running a business takes a lot of time and effort on your part. Trying to fit in regular cleaning along with all of your other responsibilities can make it impossible. You will never have to worry about fitting the cleaning into your schedule, and we will perform everything at the highest level. If you are in need of a cleaning service in the Atlantic City and Southern New Jersey and South Jersey area, give us a call..
For commercial cleaning service in the South Jersey and Atlantic City area, contact First Choice Janitorial Service. We are one of the best cleaning services in New Jersey and you can count on us to provide excellent, friendly service, unrivaled experience, and efficient cleaning methods. Give us a call today and get your business looking new. Once the holiday season is over, you may find a big mess to clean-up in your home. Holiday decorations need to be packed up, wrapping paper needs to be thrown out, dishes need to be washed – the whole house may need to be deep cleaned. Luckily, January is the perfect time to establish a New Year’s cleaning plan to refresh your home now and keep it clean throughout the year. We’ve put together a list of our favorite New Year cleaning tips and ideas to help inspire your own New Year’s cleaning resolutions. Use these New Year’s cleaning tips from the experts at Offshore Property Services to start your new cleaning routine. New Year’s clean-up starts with taking down the decorations. For many families, it’s a tradition to keep the Christmas tree and decorations up through January 6, the Feast of the Epiphany, also known as Three Kings Day. Other households opt to remove decorations on January 1, or by the first weekend after New Year’s Day. Either way, the timely removal and pack-up of holiday décor is an essential step before beginning any other deep cleaning projects. Make a resolution to remove your holiday decorations before the second week of January to help keep yourself on track. We recommend removing everything from your storage space before trying to put your holiday decorations away or reorganizing the shelves. That way, you can take inventory of your items and make sure there isn’t anything that can be thrown away, donated or sold. You can then place the items you’re keeping back in their storage spaces in a neat, organized manner that will be easier to locate later. The New Year is the perfect time to organize all your storage areas, from your attic and basement to the shed, closets and even crawl spaces. Like you did with your holiday storage areas, take your items out and make sure that nothing is broken or should be donated or sold. Then, carefully store the items you’d like to keep in durable containers. Once everything is safely put away, your storage spaces will look tidy and organized. By starting your New Year’s cleaning now, you can start off on the right foot and continue to maintain your home’s cleanliness all year long. So grab those storage containers and cleaning supplies and get to it! From Offshore Property Services, we hope you have a happy New Year’s! Offshore Carpet Cleaning located between Ocean City and Atlantic City, New Jersey offers exemplary service and fair pricing for your family. Annually or bi Annually cleaning of your floors and carpets not only extends the life of your flooring, but provides a deep cleaning that keeps your home free of dirt and germs. Do you need pet remediation to eliminate pet and urine odors? Offshore can be your resource. We use deodorizing products that can tackle to toughest odors. Emergency service is another great benefit and we are owner operated to ensure every client is completely satisfied.